Your support is crucial to the success of our mission to share our culture with present and future generations and to keeping the ranching legacy alive. Gifts of all kinds help support the Cattle Raisers Museum. When you make a gift, you are entitled to a charitable deduction that may reduce the income taxes you owe. The Cattle Raisers Museum is a recognized 501 (c)(3) non-profit organization that operates without state or federal funding. Your tax-deductible gift helps the Museum preserve the history and advance the future of the livestock industry through exhibits, education initiatives, and programming. All Museum activities are made possible only through the generous financial support of individuals like you. 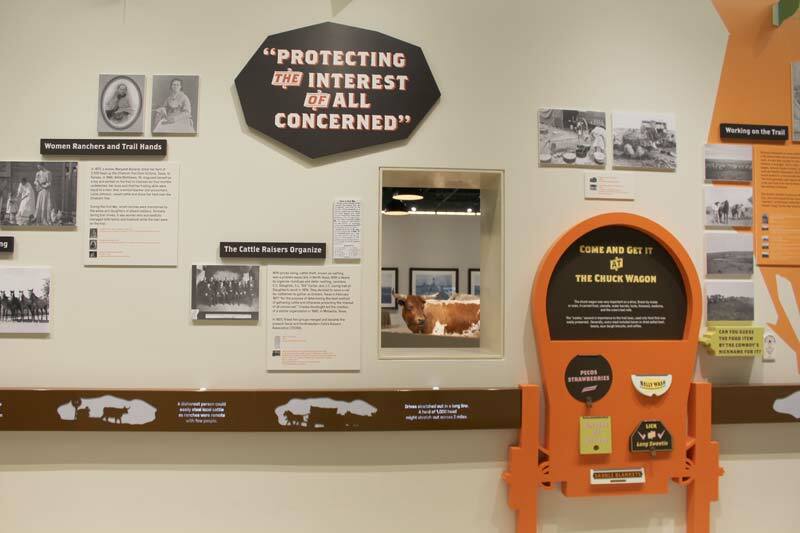 Memorial and honorary gifts to the Cattle Raisers Museum are meaningful tributes to loved ones passionate about preserving and perpetuating the heritage of the livestock industry of Texas and the Southwest. Please contact Deanna Holderith at dholderith@cowgirl.net or call 817-332-8551 to provide the name of the honoree, reason for the gift (celebrating a holiday, special occasion, or celebration of life), and an address for notification of your gift. We will notify the family or person being honored of your generosity. The Cattle Raisers exhibitions would not be possible without the generous support of sponsoring organizations. A sponsorship is a positive opportunity to meet your corporate and social objectives and promote the legacy of the cattle industry. Sponsorship opportunities are available for temporary and permanent exhibits, special education events, and other Museum programs. Your organization will be recognized through printed promotional materials, social communications, and onsite signage for the designated program or event. If you are interested in Cattle Raisers sponsorship opportunities, please contact Sherry Flow at sflow@cowgirl.net or 817-332-8551. The Museum is dedicated to collecting artifacts that help us to promote and preserve the history, heritage, and culture of the livestock industry. The majority of artifacts in our collections were donated by the public. If you are interested in donating an object to the Cattle Raisers Museum, please contact Hilary Baker, at hbaker@cowgirl.net or call 817-332-8551. A planned gift is one way that our supporters help advance the mission of the Cattle Raisers Museum and Foundation while receiving financial and tax benefits. There are a number of gift planning options, from a bequest in a will or trust to life-income gifts, which provide you with income for a period of time before the Museum may use your gift. The best plan for you will balance your charitable and financial goals while supporting the legacy of the Cattle Raisers Museum. Reduce estate, gift and/or current income taxes. Reduce or eliminate taxes on capital gains at the time of the gift. Provide a secure income stream for the rest of your life. Provide additional income for your heirs. These gifts are a lasting legacy of support for the Museum. For more information about making a gift, please contact your estate planning professional or the Cattle Raisers Museum at dholderith@cowgirl.net or 817-332-8551. Matching employer contributions are a way to double or triple your gift to the Cattle Raisers Museum. To obtain matching funds, simply pick up a form from your employer and include with your gift by mail to the Cattle Raisers Museum, 1600 Gendy Street, Fort Worth, Texas 76107.